Governor Tom Wolf officially enacted the Timothy J. Piazza Anti-Hazing Law when he signed PA Senate Bill 1090 Friday in Harrisburg. “Tim’s Law” — the anti-hazing statute named after Tim Piazza, who died after a hazing ritual at the Beta Theta Pi fraternity house in February 2017 — was introduced by Senate Majority Leader Jake Corman last March. The bill proposed stronger penalties, new standards for enforcement and reporting, and a stratified system for assessing hazing offenses. Flanked by Tim Piazza’s parents Jim and Evelyn Piazza and his brother Michael Piazza, as well as Penn State President Eric Barron, Wolf signed the bill at a public ceremony in the Capitol Building. “Pennsylvania will now have one of the strongest anti-hazing laws in the country,” Wolf said. He went on to summarize the bill’s many changes to Pennsylvania’s hazing laws. The bill defines four new criminal offenses — hazing, aggravated hazing, organizational hazing, and institutional hazing. If a hazing victim suffers injury or death, the perpetrator can now be charged with aggravated hazing — a felony punishable by jail time. “Tim’s Law” also aims to hold universities and other organizations accountable for the actions of their student groups, and will require institutions to post information about hazing incidents and anti-hazing initiatives online in addition to a written policy. It also establishes strong institutionally-inflicted penalties on student organizations that engage in hazing. “While we can never fix what Evelyn and Jim (Piazza) have gone through, this bill will help us to prevent horrible situations like this from happening to more families in Pennsylvania, and it will hold those who engage in hazing and the organizations that promote it accountable for their actions,” Wolf said. The bill was created following the release of a grand jury presentment derived from a 10-month investigation of the events surrounding the case. Wolf, Barron and Jim Piazza called on other state legislatures to enact similar policies. “Unfortunately, hazing continues to plague universities across the country, and we hope this law will serve as a model for other state legislatures to effect critically needed national reform,” Barron said according to a release. The bill moved to Wolf’s desk after it was approved by the Pennsylvania Senate Monday. It passed unanimously through both houses of the state legislature earlier this year. 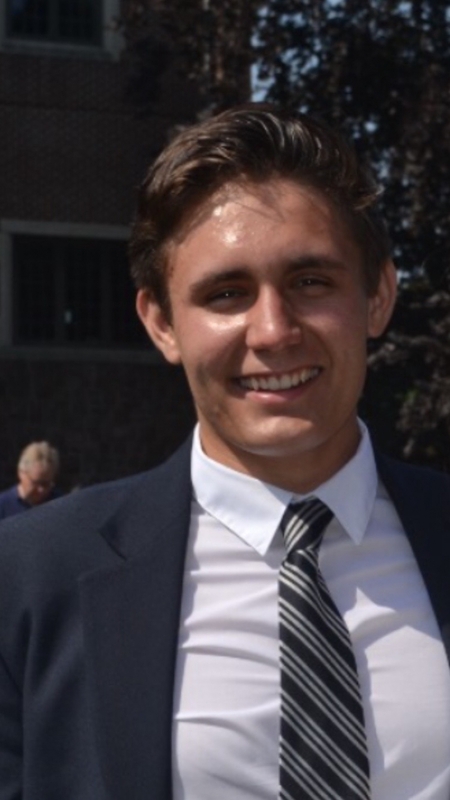 Jim is a junior English and history major and the features editor for Onward State. He, like most of the Penn State undergraduate population, is from 'just outside Philadelphia,' and grew up in Spring City, Pennsylvania. He covers a variety of Penn State topics, but spends nine months of every year waiting for the start of soccer season. You can reach him via email at [email protected] or follow him on twitter @messijim. The voice behind the 2009 anthem “Replay” that rocked iPod Touches across the nation will add a performance to an already-packed schedule at the Lion Ambassadors’ Senior Send-Off Friday at the Hintz Family Alumni Center.